On this recording, viola virtuoso Barbara Westphal and pianist Christian Ruvolo perform viola transcriptions of Brahms' great violin and cello sonatas. 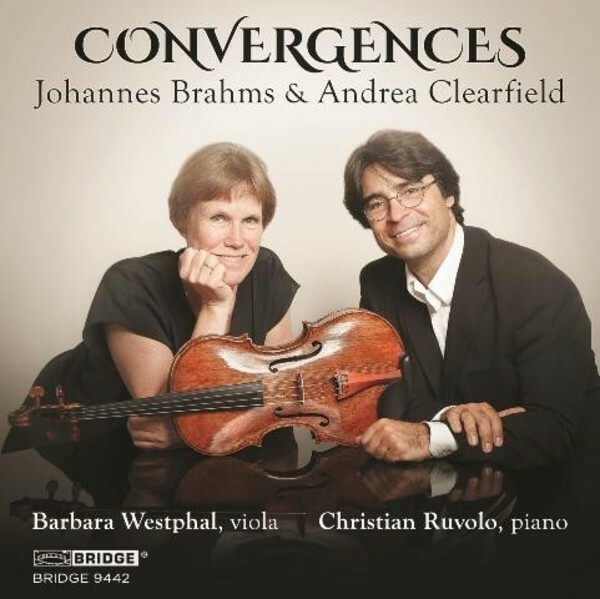 In addition, Westphal and Ruvolo give the world premiere recording of Andrea Clearfield's 'Convergence', a sparkling new composition written for the duo. Ms Clearfield has composed for forces small and large, including 10 cantatas, one of them written for the Philadelphia Orchestra. She is currently writing an opera on the life of the Tibetan yogi Milarepa.